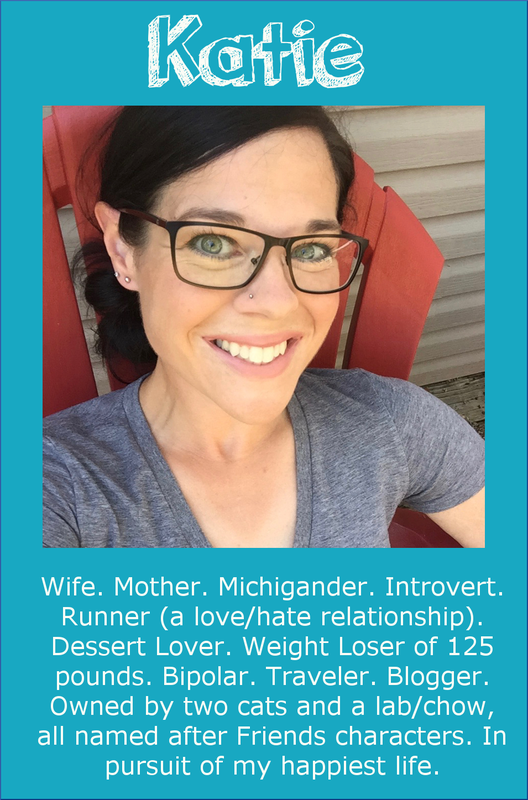 Runs for Cookies: Maybe new weight goals? On Monday, I was texting John, and we were talking about lack of motivation to run. I told him how I hadn't run in nearly five weeks since I decided I needed a break from training (I had planned to continue to run a couple of times a week, but so many factors have come into play where that goes--I'll explain more below--but basically, it just didn't happen.) John said that he was going to try to run after work on Monday, so I made him a deal. I said that if he went for a run on Monday evening, then I would run on Tuesday morning. Anyway, I started my new medication (for depression) only a few days before my last run about five weeks ago. I remember having a terrible run--feeling tired, lethargic, and very out of breath. I hoped it was just a coincidence, but each time I've tried to run over the last five weeks, I feel the same way. 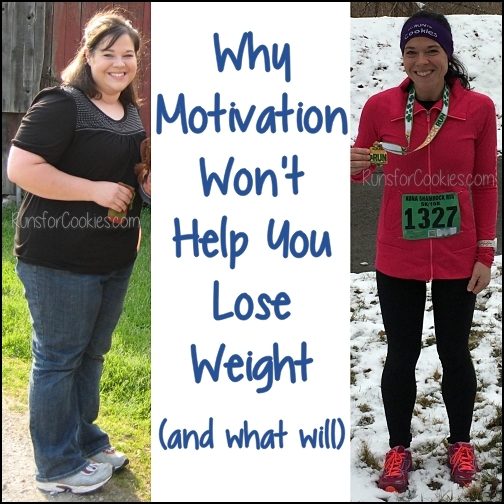 I've also experienced a HUGE lack of motivation, which is the last thing I want. I don't know if this is from the medication or not, but it seems to have gotten much worse since starting the medication. Yesterday, I headed out for my run with high hopes. I really wanted to have a good run and not feel like a lazy bum! Again, I just felt awful. At around mile 1.7, I took a walk break, and then ended up walking the rest of the way home. Because of this, I started feeling bad about myself and talking down to myself (which I know is of no help). I was just disappointed that I wasn't able to get in the three miles I'd hoped. So, I made another appointment with my doctor to see what he thinks about this as a possible side effect. I also called to check on the waiting list to see a psychiatrist, and they were able to get me in on May 1st--much sooner than September! Hopefully, the psychiatrist will be able to help me find a good treatment with minimal side effects. Meanwhile, it's frustrating not being able to "just fix it" already. I was at 146.2, which is down 1.6 pounds from 147.8 last week--I'll take it! Like last week, I didn't count calories; instead, I just tried to eat as if I was counting calories. I've been thinking more and more about maybe trying to maintain a higher goal weight--something like 140 or 145, instead of trying to get down to 133 again. The truth is, I'm caring less and less about the numbers and more about consistency and doing what makes me happy. My weight has always gone up and down, so it's hard to say what my "ideal" weight is. To me, I believe my ideal weight will come through not binge eating, staying consistent with eating patterns, eating what I truly enjoy, and not eating too much or too little. I think I'm mostly afraid of rebound weight gain, like what happened last year when I became very depressed; and perhaps by maintaining a higher weight on a daily basis, I won't have that rebound effect. This is total speculation, so I have no idea if what I'm thinking is accurate--but it can't cause any harm. Would I like to weigh in the 120's again? Of course! But not if it just means I'm going to gain 30 pounds the next time I have a rough patch with depression. I think I look okay at this size, too, so I wouldn't mind choosing a higher goal. I'll think about it some more and see what happens! This is so funny. I have been thinking the EXACT same thing about myself. While I still weigh more than what I would like to, I started thinking that my old goal weight just might not be attainable anymore. 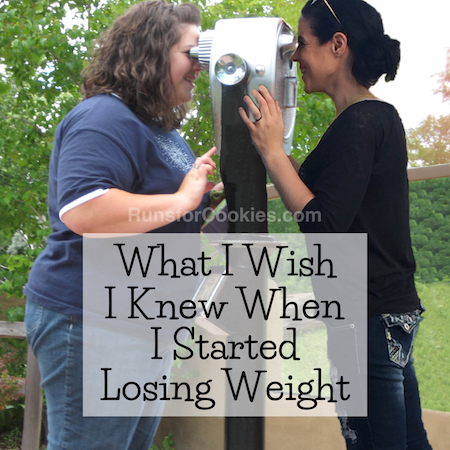 And if I ever actually got back there, would I just gain weight back right away? Just the other day, I actually upped my goal weight in MFP and I immediately felt 10 times better! It seems so much closer and more attainable now to reach my new goal. Hi Katie-- Long time reader here, with lots of things in common, and I wanted to share with you that I am a Pet Partners Volunteer and I get SOOOOO much out of sharing my therapy animal during visits at a local group home, as well as at a larger in patient facility. I know that Joey might be a little "much" for therapy work (I'll be happy to share with you the details of becoming a Pet Partner team)---but I wondered if any of your felines would be candidates? At one of the places I go, there are residents who do NOT want to pet a dog, but always ask me if I could bring a cat (nope, don't have a cat!). Anyway, I think you might really enjoy that sort of engagement, and it also might be beneficial to reach out to a broad group of folks, rather than just one. Having that intense one-on-one relationship is great too---but brings its own set of challenges. It's so funny you mentioned this--I just started the application process a few weeks ago! Monica, our newest cat that we adopted last June, seems as if she was BORN to be a therapy cat! She absolutely loves being petted and held by anyone and everyone. I'm super nervous about the idea of bringing her somewhere as a therapy cat, but I know she'd be great--so I am going to pursue it. Thanks for the encouragement! I've literally been having this exact same conversation with myself lately....I maintained my 'low' weight of 125 for about two years before I started struggling with gaining (due mostly to depression and some major changes in my life). Last year I hit my 'high' of 148 and was not happy at all. I've made progress and am down 10lbs just by recommitting to daily workouts and eating healthier most of the time. Although I would love to be back in the 120s, I have come to accept that this may be my new norm and that I should embrace it rather than fight it. You are a huge inspiration to me and I applaud you for being so open and honest about your struggles and successes. It's very refreshing and makes me feel a lot more normal to know there are others out there who feel this way! Much love to you! Great post Katie. I am curious to know if you are within your healthy BMI weight range? Is BMI a factor you consider when you are setting a goal? I was curious about this too. 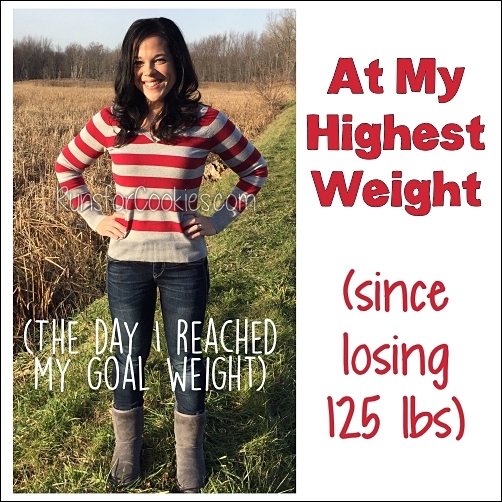 How did you choose 133 as your original goal weight? I am SURE you've shared but I forgot! Love your blog! I don't remember how I chose 133 as my goal--it's such a random number! I originally chose 126, because it would be half of my starting weight; but I finally settled on 133 because I felt good and my running was great at that weight. 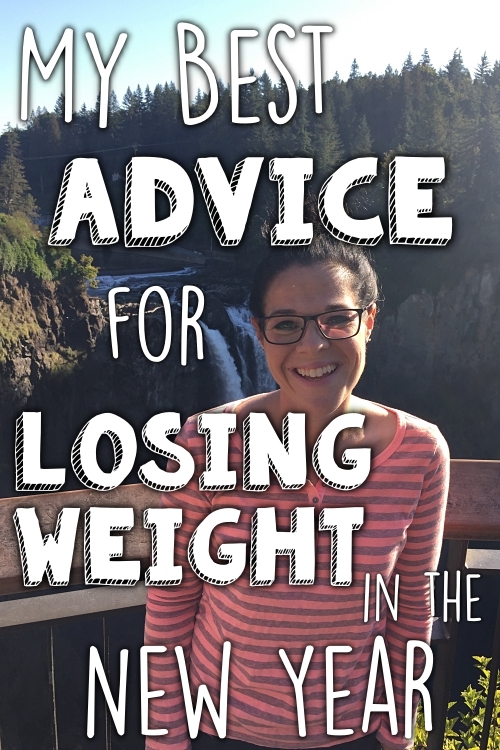 I've heard or read somewhere that your ideal weight is one you can maintain fairly easily without struggling. That's about 5 pounds more for me than the magic number I have always considered my "ideal" weight, but I can live with it if it means less stress in my life! Running does not define who you are Katie :) If you don't "enjoy" it any more then its time to move on and try something else! After 5 weeks off of running, it's not at all surprising that even short distances seem too hard. I just went through this myself after being on and off for a while with injuries. I couldn't believe I was having to walk in the middle of 3 and 4 mile runs. That was in Jan/Feb - now I'm totally back to normal - 10 mile long runs. 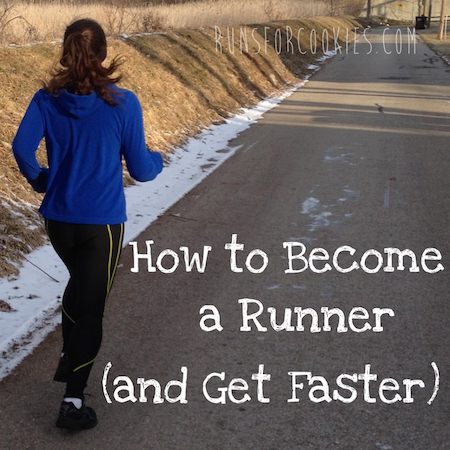 Maybe do a few runs as run/walk - or go super slow and go by heart rate. It'll come back! "I believe my ideal weight will come through not binge eating, staying consistent with eating patterns, eating what I truly enjoy, and not eating too much or too little."